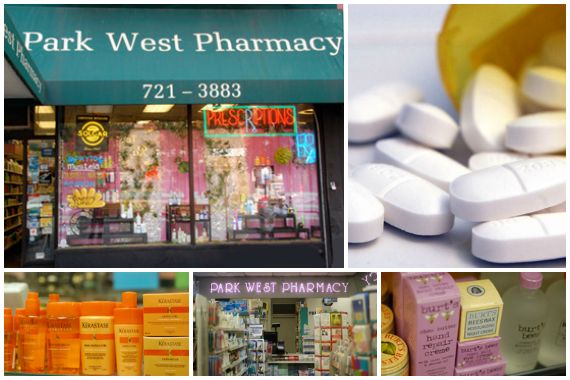 Park West Pharmacy, located on the Upper West Side, is your neighborhood pharmacy, where personal service is our commitment. "Don't wait until your prescription is empty -- make sure to call and get it refilled two to three days before you run out." "Do something your future self will thank you for." "Take care of your body, and your body will take care of you." "We've got your prescription for good health." This pharmacy is awesome. Personal service, friendly people. I've been using them for years. Kenny, Claude and the rest of the staff have saved me more than once with insurance issues. I won't go anywhere else. Yes, I'd like to receive news from Park West Pharmacy. Sign up for the Park West Pharmacy Newsletter!